Additional Info: The plant is applied in Ayurvedic medicine, and is native to Sri Lanka, Southern and Central India. The stem reaches 20 inches high on average, and blossoms with flowers of yellow color. Each element of the herb is applied in treating medical conditions. Various types of Phyllanthus can be met in other countries, like Guam, Nigeria, Cuba, the Philippines, and China. Elements Applied: Any part of the plant is considered potent in herbal medicine. Active Components: The main constituents found in Phyllanthus are bioflavonoids (for instance, quercetin), alkaloids, and lignans (for instance, hypophyllanthine, and phyllanthine). Although it has not yet been defined which component is responsible for fighting viral infections, the remedy is believed to affect the liver first and foremost. Due to this reason the plant has been applied as a medicine for jaundice for a long period. 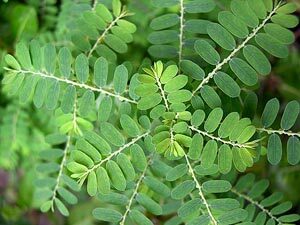 History: Phyllanthus is a potent remedy which has been applied in Ayurveda for more than 2000 years, and is characterized by a wide range of applications. Among the common uses the most frequent internal ones are for menses irregularities, gonorrhea, jaundice, and diabetes, while the most frequent external ones are for irritations, swelling, sores, ulcers, and other skin conditions. To treat recurrent dysentery the young plant is prepared as an infusion. Used For: The plant is known to stimulate the digestive system, acting positively on the stomach, fighting constipations and diarrhea. It also boosts urination. Phyllanthus is potent of seizing DNA polymerase, which is employed by hepatitis B for propagation. According to a study conducted on hepatitis B sufferers, 59% of cases are successfully treated by the herb, which showed considerable positive changes in the system, after being applied for only a month. Although various species of the plant have been applied, P. niruri and P. urinaria are much more effective than P. amarus. To treat jaundice herb decoction is applied. The plant also serves as an aid in curing menorrhagia, gonorrhea, and some dropsy varieties, as well as other urinary organ disorders. Leaf poultice based on salt is potent of treating skin inflammations of several types. Additionally the plant is used for recurrent dysentery, ophthalmia, swellings, sores, ulcers, dyspepsia, and diabetes. Preparation and Intake: The herb is used in form of pills, powder, poultice, juice and infusion. According to several studies, a standard norm for Bhuamalaki is 1500 mg a day on average for a period of three months. Safety: The herb has produced no negative impact on the organism when it was taken in a normal quantity, thus it is safe and reliable to use.